Though HBCSE campus is small, it supports a variety of life forms. One can find numerous species of trees, birds, insects and snakes here. When we say ‘snakes’, people get scared! Eeeuuuu creepy crawly…slithering… scary..dangerous… But in reality, snakes are quite peace-loving and beautiful creatures. They are misunderstood most of the times. When we learn more about snakes, we tend to be less scared of them. 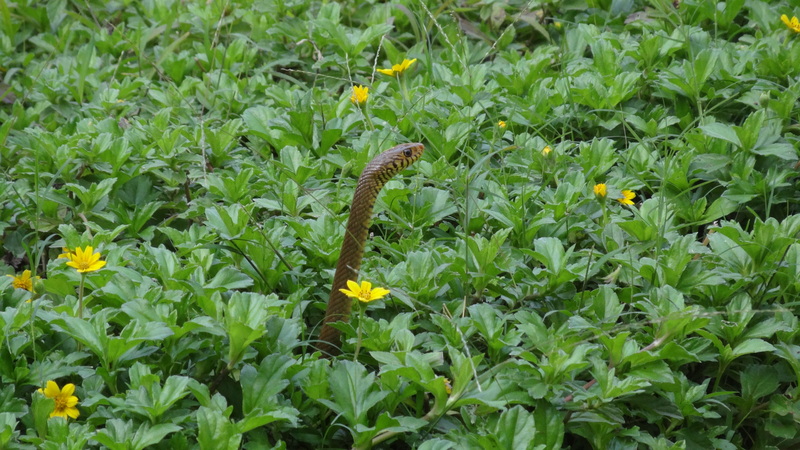 The list is incomplete; there are habitats in our campus and adjoining areas that seem like they can support species like tree snakes, common wolf snake, brahminy worm snake, Russell’s viper, rock pythons, kukris, buff striped keelback… all of which have been recorded at Anushaktinagar, which is adjacent to HBCSE campus. Previous residents have reported some of these species on campus. People most often stumble upon the Indian Rat Snake. The Indian Rat snake is one of the most common non-venomous species of snake found in India. Across India, they have different names; Dhaman (in Hindi and Marathi), Ghoda-Pachad, Ashadhia (in Marathi), Kera havu (in Kannada), Sara paambu (in Tamil), Dharaj (in Bengali), Bairokh (in Assamese). Adults can grow over 3 metres in length and their colour varies from shades of black, brown, grey, olive green to yellow. Rat snakes are diurnal, which means they are active during the day. They show both arboreal and terrestrial activity depending upon their needs. Their primary diet comprises of rodents but they also feed on small birds, lizards and eggs. 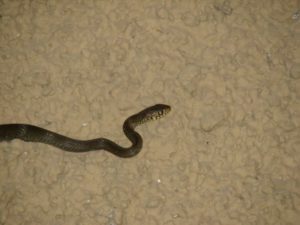 The Rat snakes found at HBCSE campus have a yellowish brown hue. They have been sighted on the lawns and even climbing walls! Why would a snake try to climb a wall? Which is easier for a snake to climb: a rough or a smooth wall? Is the brown colour common to both the snake and the wall a mere coincidence? Why do snakes sometimes expose themselves fully to the sun? What will you do to the snake, if you see it sliding in through your window? Do you spot snakes more often in one particular season of the year? Just because the Rat snakes are non-venomous, does not mean that it cannot deliver a painful bite. Rat snakes usually do not bite when handled but like all creatures, it can attack in defense, or when it feels threatened. India is a big country which is home to hundreds of snakes, some venomous and others are non-venomous. In India, most snake bites are because of four venomous snakes. They are called the ‘Big Four’. Common Cobra/ Spectacled Cobra (Naja naja): All of us would have heard of the Cobra (Naga); we would have seen it in cartoons, or in movies. The cobra is commonly found all over India and they like to eat toads and rats. A common cobra’s venom is neuro-toxic in nature, that is, our nerves will be affected. Common Krait (Bungarus caeruleus): This snake has characteristic white bands on its black body. It is commonly known as kaala saap (Hindi) and their venom if highly neuro-toxic. They are a nocturnal species and feed on rats, lizards and sometimes toads. Russell’s Viper (Daboia russelii): This snake, commonly known as Deboia (Hindi) prefers forested areas, green farms or among thorny bushes and trees. They too like the other snakes like to eat rats! The venom of this snake is haemo-toxic in nature, that is they affect our blood. They are known to be aggressive when handled. Saw-scaled Viper (Echis carinatus): These are very small sized snakes and like to live in dry places. Commonly called Fursa or Diar (Hindi), the snake can be identified by the zig-zag pattern on its body. They rub their body scales together to make a hissssssssssss sound. The venom of this snake affects our blood. Are there any ways to identify venomous and non-venomous snakes definitively? What is more appropriate: venomous snake or poisonous snake? What should you do if a snake bites you? 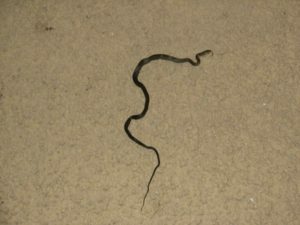 Is it possible that a venomous snake bites a human, and he/she does not develop symptoms? 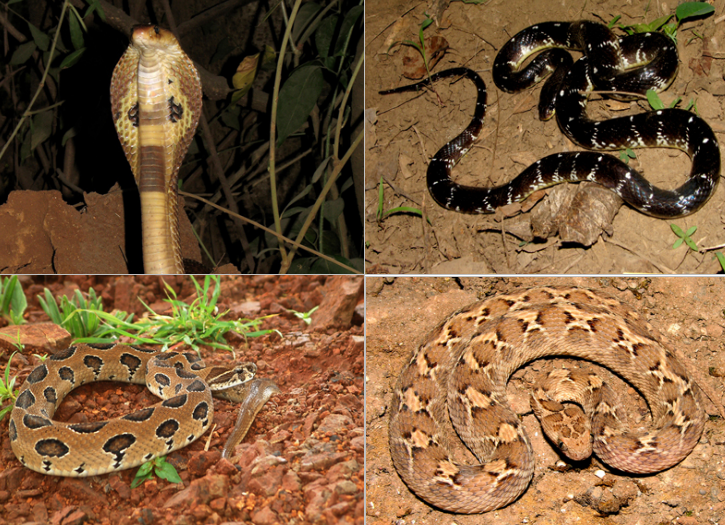 Acknowledgements: Thanks to Ritesh Khunyakari and Arunachal whose earlier article on “Snakes at HBCSE” gave some direction to this article; and to Amit Dhakulkar, G. Nagarjuna and Devadatta Naik for photographs. We will study these excellent-looking books ... Book writing is a creative process. Your book is process oriented and aims to develop children as self learners. The get-up and printing of the book is also attractive for children.